Brands have always produced content, it is just that back in the old days, they couldn’t afford to produce very much of it. This wasn’t because it was expensive to produce, but because it was expensive to distribute. There was a rough rule-of-thumb which said that maximum 10 per cent of your content (advertising) budget was spend on production and 90 per cent was spent on distribution (buying the media space). Now the great thing about social media is that you don’t have to buy it. “Fantastic,” has been the reaction of brands, “that means we can now spend 100 per cent of our social content budget on actually making the content.” It is as though something that was once expensive and desirable has now become virtually free and everyone has gone on a binge as a result. However, we have forgotten that while it is easy enough to produce content and put it ‘in’ a social media channel, this doesn’t mean that the content is actually going anywhere or doing anything valuable for the brand. In fact the vast majority of brand content just sits in these channels like so much undigested brandfill. 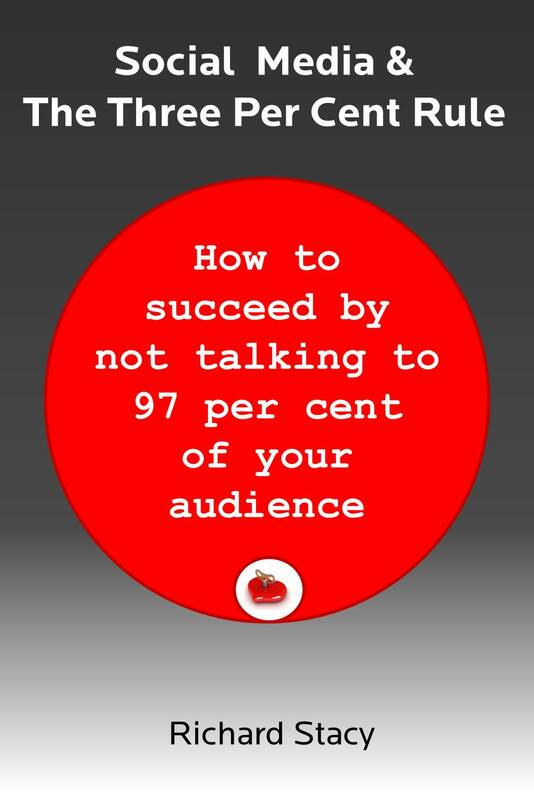 Content is only ever going to go anywhere, or do anything, if you socialise it – i.e. apply a process to the content you produce. In fact I think the 90:10 rule still applies: for any content strategy, only 10 per cent of the budget should be spend producing the content and the other 90 per cent needs to be spent ‘socialising’ the content you produce. What is socialisation? Socialisation (like all things in social media) is a process and it has two components. The first involves finding out what content your consumers actually want and this has to start with establishing an effective listening and insight process. As simple and obvious as this step might sound, it is often either ignored or proves to be an almost insurmountable obstacle for some brands. This is because it reveals that the content (or conversations) consumers’ actually want is very different from the content (or conversations) the brand wants to have with consumers. In fact, consumers may not really want that much content at all. Rather than accept this rather unpalatable truth, brands often react by trying to provoke or entice (through promotion or gamification) consumers into becoming willing consumers of their content. Indeed Coca-Cola has stated its objective is to “provoke conversations and earn a disproportionate share of popular culture”. What brands find when they listen to their consumers is that what they really want is answers to questions, either in the form of direct responses to real-time issues or through the ability to access relevant information, preferably where some form of peer endorsement process has been put in place. The place many turn to, of course, is Google and it never ceases to amaze me just how few brands have based their content strategies on an assessment of what questions their actual or potential customers are asking Google, for which they as a brand can (should) provide an answer. The second part of the socialisation process involves what you do with the content once produced. The reason content rarely goes anywhere in social media is because there are no audiences there to view it and such people as are there are not necessarily motivated to want to spread the content for you. Even if you have identified what Google spaces your content is relevant to, content left to its own devices is unlikely to attract sufficient attention to make it very far up the Google rankings. What needs to happen is that the content needs to be inserted into relevant conversations, matched to the spaces where the questions for which it is the answer are being asked. This, of course, involves listening and responding to these conversations in the first place (step one again). This is a time intensive business and while you don’t necessarily need to attract a huge level of response to your content to attract the attention of Google (provided your content is designed appropriately in the first place), it will require some significant attention before the process of normal social interaction will provide it with sufficient Google juice to remain buoyant. Some content, of course, will never make it – so you have to start either the process again, or accept that there just isn’t a market for it. The value of this approach is that, once you have given a piece of content sufficient buoyancy, it will remain relevant and useful for a long time, rather than simply being disposable. This is one area where brand-produced content is different to the content of traditional media. Traditional media content is designed to be disposable so that it produces an income stream. And traditional media outlets know exactly the value of the content they produce because there is a direct connection between volume produced and revenue (advertising or subscription) generated. This is one (of the may) reasons why it is foolish for brands to adopt a media model in thinking about how they approach content. If brands applied the 90:10 rule the amount of content they produce would reduce dramatically, either because they couldn’t afford to invest sufficient time in socialising a large amount of content , or because they realised that there is no demand for the much of the content they thought they need to produce. They would also start to get a handle on what content creates value and thus have an editorial process that can focus on this rather than a process geared to generating a stream of disposable and /or unwanted brandfill. For example, take this piece of content on ‘Spring picnic essentials’ from Coca-Cola. What process can you imagine might have been in place to determine that producing this content was a valuable or useful exercise and what process was then in place to insert it into relevant conversations such that it was likely to retain any sort of visibility or sustained relevance? I don’t know what this process was, except that it must have been a very strange process. Or else there was no such process – which I suspect was probably the case. It is a bit like old-fashioned press releases really. You didn’t measure the effectiveness of your PR programme by the amount of press releases you issued, but by the coverage you generated as a result. And you generated much of this coverage by the knowledge you had of the media you were targeting, the relationships you created with journalists and by not flooding these journalists with irrelevant content. Perhaps there is much new-fangled ‘content marketing’ could learn from old-fashioned media relations.